Product code: 10025-1-2-1 Categories: Sea Glass, Necklaces. 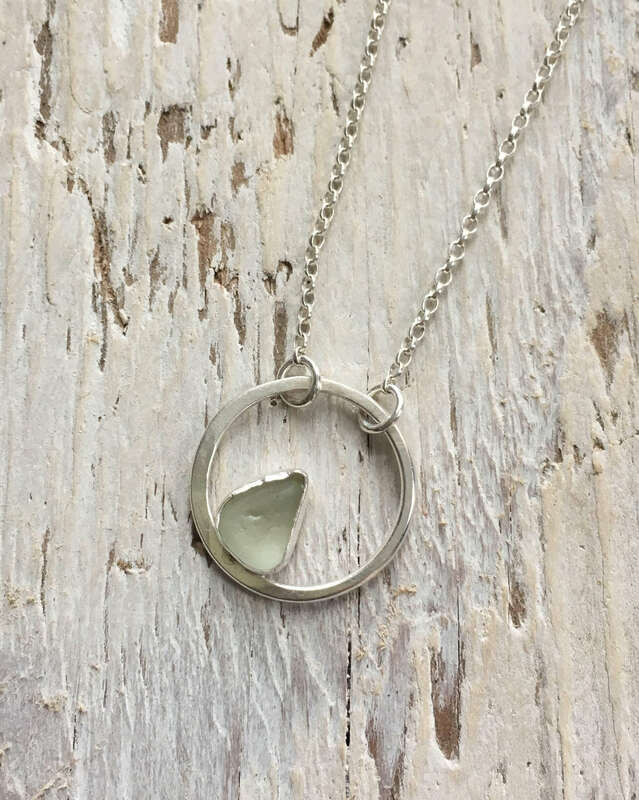 Like many pieces in the Sea Glass collection this white Sea glass circle choker is a one off. The circle is hand made from recycled silver and is approximately 1.8 cm in diameter. The circle is hammered flat. Inside the circle is a beautiful frosted White Sea glass piece, which is approximately 6 mm wide and 10 mm high. 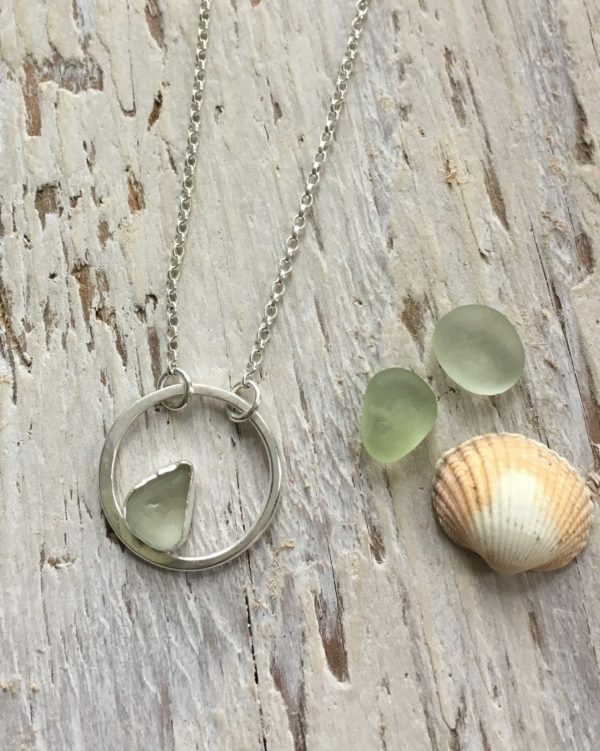 The sea glass is set in a hand made bezel of recycled silver. The pendant has been hallmarked at the Edinburgh Assay Office. The pendant pictured is the one you will receive. It is made to be worn as a choker and so it hangs on a 38cm sterling silver chain, there is a 6 cm extension chain if you prefer to wear it longer. You can have your pendant delivered in a drawstring bag or a recycled box – you choose.